Home › Faculty Directory › Weinberg, Laura, Ph.D.
Laura B. Weinberg, Ph.D. is a Clinical Neuropsychologist and Rehabilitation Psychologist. 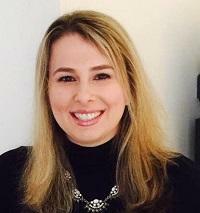 Dr. Weinberg is currently staff psychologist at the Miami Veteran Affairs Medical Center (Miami VA). She is also adjunct professor at Palo Alto University. Dr. Weinberg completed her neuropsychology internship at the Miami VA and two-year neuropsychology fellowship from MedStar National Rehabilitation Hospital (NRH)in Washington, DC. Dr. Weinberg remained as staff through 2015. Clinical interests include recovery and rehabilitation of stroke survivors and veterans who have suffered traumatic brain injury. Dr. Weinberg also assists veterans who have had traumatic or acquired amputation with adjustment to disability.